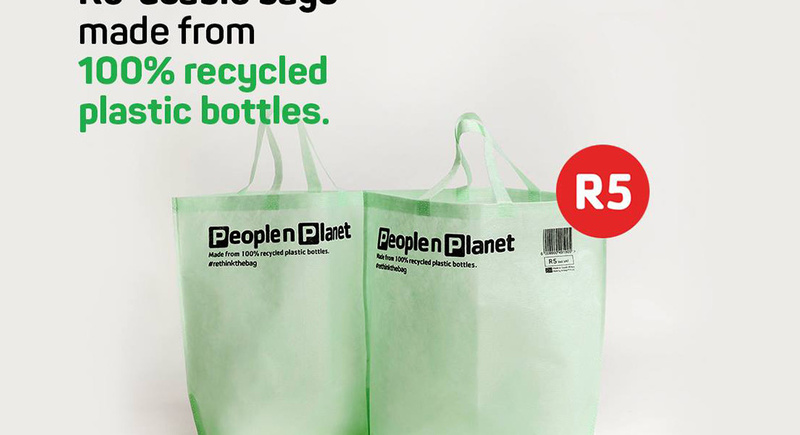 South African supermarket giant, Pick n Pay, has launched a new range of reusable shopping bags. These environmentally-friendly alternatives to the plastic grocery bags are being sold for R5 at a handful of stores around the country. The reusable shopping bag is made from recycled plastic bottles. Currently, 22 stores in South Africa supply the bags during the trial period. If the bags are a success, they will be introduced at all Pick n Pay stores nationwide. The bags were initially launched at five stores in the Western Cape in December 2018. Pick n Pay has received highly positive feedback from shoppers since the bag’s launch. The supermarket is also planning to introduce the new bags in their Namibian stores soon. Pick n Pay first introduced a reusable shopping bag in 2003. Since then, a number of sustainable materials have been used to make their reusable bags, such as cotton and recycled PET plastic. “More recently we’ve trialled new alternatives, such as paper bags and cardboard boxes,” says transformation director of Pick n Pay, Suzanne Ackerman-Berman. “We believe our new R5 reusable bag could be a viable reusable bag option for many more customers, across all income groups,” she explains. “We know there are many considerations, such as size, durability and price, so we are working closely with our customers to trial various options,” she says. “We believe that by following this process, we can drive real, long-term sustainable change, both for our environment and our customers,” concludes Ackerman-Berman. Pick n Pay is also trialling a reusable netted fruit and vegetable bag that sells for R7,50. This will encourage shoppers to use the netted bag instead of the thin plastic packets available at the fruit and vegetable tables.